Billy Paul – "It’s not important to be important" – Winning. Words. 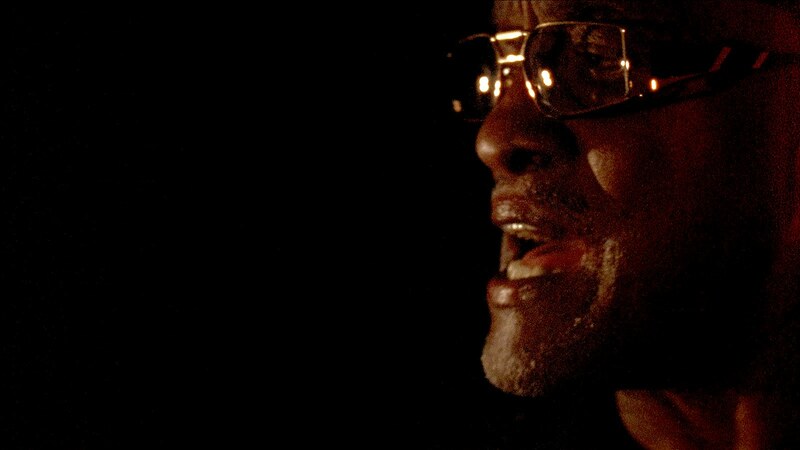 Billy Paul – "It’s not important to be important"
LWLies: Were you surprised that somebody wanted to make a documentary about you? Paul: I was very surprised and honoured. It was a chance to get rid of things, you know what I’m talking about? Things that you haven’t talked about in a long time; things you had bottled up and so forth. So it gave me a great release. LWLies: Was it a difficult decision to make? Being chased by a camera must have been stressful. Paul: I think one of the things that helped was that [director] Göran Olsson, me and [wife] Blanche, we became good friends over that two-year period. I got very, very relaxed – and my wife got very relaxed – around him. We’ve been to his house, and he’s been to our house. So we became very good friends. And one of the things is, it makes you feel more relaxed, and more at home, and you can open up. LWLies: So it didn’t become a chore at all? Paul: No it did not, it didn’t become a chore. You know I was glad for the support. Sometimes it was like they [the cameras] wasn’t there. And we’re still friends, yes. LWLies: How do you feel that the music industry has changed in your lifetime? Paul: Oh it’s changed an awful, awful lot. One thing about it is, people like Gladys Knight and Marvin Gaye… When we came along, we had to have raw talent. I had the bass drums and the piano, which I still do, when I set up my rhythm pit. We didn’t have all the machines, all the tools [they do now], we had to get out there and work it. A whole hour, hour and a half, start to finish. You had to show your true talent. Now it’s more audio and video. It’s a different rapport, even the entertainers are different. When we started out we depended on each other, we learned from each other. Everybody’s on an ego trip right now. I always say it’s sound, cymbals and songs, end of. LWLies: Do you think that releasing your controversial second single, ‘Am I Black Enough For You?’, was a mistake? Paul: Do you know what? For a long time, I had reservations about it. My wife had reservations about it. But what happened was, it caught up with time. It’s timely now. I get more requests for it from white people than black people. So it makes me very comfortable, and now it’s very, very popular. It caught up with time – we got a black president now. LWLies: Are you hopeful for the Obama age? Paul: You guys around the world, even though you don’t vote here, it would never have been done if it weren’t for guys your age, who wanted to change. Blacks, whites, young kids, teenagers that can vote, 21-year-olds. You guys are the ones that made that happen, and I personally wanna thank you guys. LWLies: Do you think we’ll see a big change? Paul: Oh, we’re seeing a change now because you gotta want more, want something, and that’s happening all over the world. It’s not just an America issue now, it’s a world issue. It’s time for change. LWLies: What has been the highlight of your career? Paul: Singing in Carnegie Hall. Working with the Beethoven Symphony Orchestra. And this past September working with the Philharmonic Orchestra in Belgium, me and Sinead O‘Connor. And that blew my mind – singing ‘Mrs Jones’, I couldn’t count the strings behind me. LWLies: Do you ever get tired of singing ‘Me and Mrs Jones’? Paul: You know, it’s my signature song, now. I don’t get tired of singing it, but I got so many hits after it. I get a little bit upset that people only remember that one song when I got a whole body of work. I look on the internet and there’s songs that I recorded that I forgot about! LWLies: What would you have done if not sing? Paul: I would’ve been a surgeon. My grandmother wanted me to be a doctor, my mom wanted me to be a singer. And at that time, I was singing gospel music and I couldn’t rehearse to pop music in the house so I’d go round to peoples’ houses and practise singing. When my grandmother found out, she told me all she wanted me to do was finish school. Her things was, ‘Get your education first’. Then eventually your career. I mean, my mother she put a lot of… she was there to support me, my father was there to support me. I was glad she got to see before she died – she died three years ago – that I got the Grammy award, did you see that? And my whole family was proud of me. LWLies: The documentary mentions the Ku Klux Klan. Did they have a big impact on your life? Paul: My grandmother got involved with them down south, that’s why she moved north. They killed my grandfather, they tried to take his land. And she instilled that in me – ‘You’ve got to watch the Ku Klux Klan ’cos they’re evil people’. It taught me awareness. Her thing was, ‘Know that you’re black, be proud that you’re black, and don’t let nobody talk down to you’. So I grew up being a proud black man. And I got involved in civil rights, and I walked with Martin Luther King. LWLies: You met Martin Luther King? Paul: Oh yes, and his family and his father. It was before I was known and I was singing at Atlanta, Giorgia. He had a great impression of me, he was a fine man. His father was a fine man. I’m very close with his children, they used to come see me in concert all the time. I stay in touch. LWLies: Do you regret the period of your life that you spent using drugs? Paul: It was something that I experienced. You know, during the ’70s, like a lot of people. I mean, I’m in a nice programme now, I never talk about it, a confidence programme, I have been for 20 years. That’s part of my life, and it’s something I experience, and thank God I’m still here to carry the message of music. I’ve exorcised a lot of demons through music, thank God, for a long time – and still doing. It’s a powerful experience. I still feel at my age that I haven’t reached my peak yet. I don’t feel like I’m washed out, you know? LWLies: There’s no retirement around the corner then? Paul: Well, as I keep telling the youngsters, it’s not important to be important, it’s important to be nice. The simple, common man who buys the records, that’s the person you really gotta be nice to. You know, they work hard. It might take them two or three weeks to buy a ticket to see you in concert. So you have to [be nice], those are the people that make you.